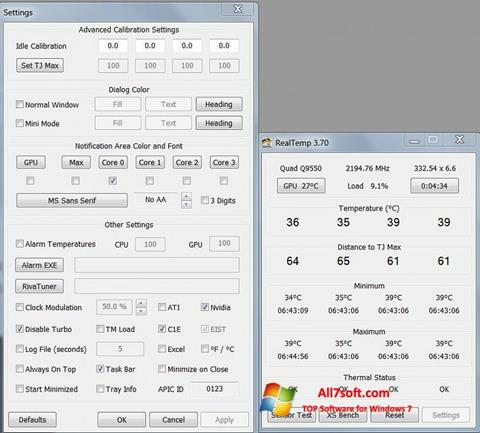 Real Temp for Windows 7 - utility to change the threshold temperatures of the processor cores. The application has a simple user interface with the ability to monitor, includes a computational performance test and a module for changing the maximum temperature for each core separately. The program can generate pop-up messages when thresholds are reached, supports video card sensors, can function in the background and maintain a detailed temperature log. The utility uses the tray to display the actual readings and does not require a large amount of memory resources. You can free download Real Temp official latest version for Windows 7 in English.